Some years ago (but not as many as you might think) when I was in grad school, I enrolled in a summer seminar, part of the National Writing Project. One of the other students, who was a high school English teacher, gave me a marvelous little book of quotations. I’ve treasured it ever since. It’s one of those few books that’s always on the top of my desk along with a dictionary, AP Stylebook and a few others. Today I thought I would share some of my favorite bits of writing advice from mystery writers. You can do a Google or Yahoo search for “writer quotations” and possibly find some of these quotes but not all of them and not in the same place. My quote book is wonderful. I turn to it for inspiration, a laugh or both. See availability notes below. 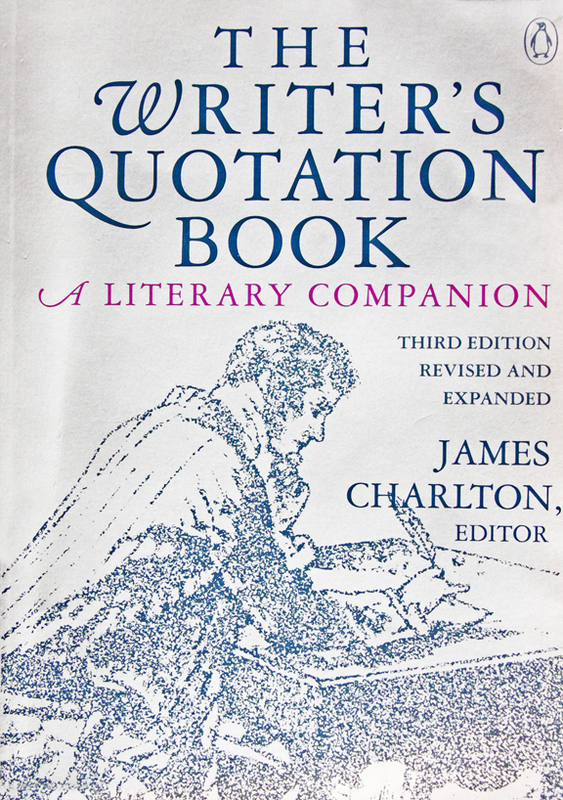 The book I have is “The Writer’s Quotation Book; A Literary Companion, Third Edition,” James Charlton, editor. It’s certainly out of print, but used copies are available in several places online, including Powell’s. Used copies of the fourth (and presumably last) edition are available at Amazon and Barnes and Noble. Loved Elmore Leonard’s quote! I think that’s the whole idea behind writing! Another great post Mr. Bacon!